I don’t believe Grover Norquist has given up on his lie that government can’t create jobs, but I’ve been getting fliers and phonecalls from his organization, Americans for Tax Reform, blaming Tim Kaine for letting the Joint Forces Command close and putting 10,000 jobs at stake. Nowhere in the phone calls or the fliers is there mention of any military necessity for keeping the command open. But, according to ATR, Kaine should have fought harder to keep tax dollars flowing through an unnecessary military command because doing so would mean jobs in Virginia. Conservatives, including Norquist, know that government spending can create jobs, and that’s a scary fact. It’s scary because no matter who gets elected in November, the economy will go up and down, and there will be times when the President has to take action keep Americans in their jobs. But Romney won’t be able promote spending on any kind of stimulus or jobs bill unless he completely reverses himself again and becomes a Keynesian. While that’s very possible, he’s still more likely to promote spending in the only way Republicans find it easy to do so: by citing a threat and increasing military operations. Republicans know that government spending can and does create jobs. Ronald Reagan doubled the national dept mostly through military spending, and Rick Perry boasted jobs in Texas when much of those jobs came from the government and stimulus spending. The Keynesian model, contrary to popular rhetoric, isn’t an upward spiral of taxing and spending. But it includes the idea that when the economy slows, the government should take steps to help. Taxes should be cut during a stalled economy, and, also contrary popular rhetoric, the Obama administration has done so. 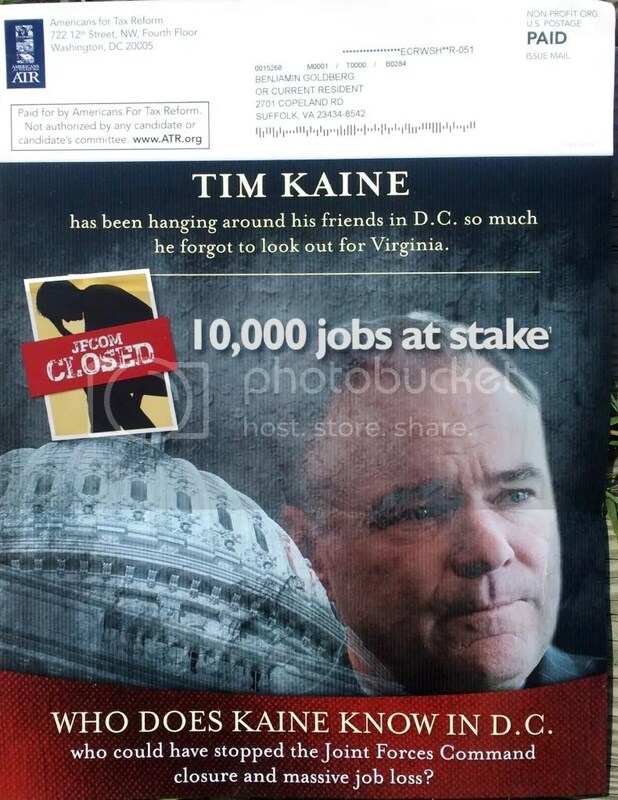 Tim Kaine supports plans that create jobs. Tim Kaine and George Allen are both former Virginia Governors, but under Kaine, the tax burden for Virginians was lower than it was under Allen, and Forbes Magazine rated Virginia best for business and careers. Government can help create jobs by investing in education to make American workers more productive than less expensive competition overseas, finding new sources of energy, and building a superior infrastructure that makes doing business in American more efficient than anywhere else. But today, conservatives want to keep saying that government doesn’t create jobs while falsely accusing Tim Kaine of not trying hard enough to protect government created jobs in Virginia.